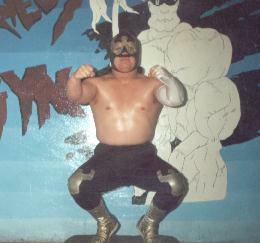 Long-time mini who worked for AAA during their glory days under various gimmicks such as Coquito Amarillo and Mini Calo as well as starting out in CMLL as Justicierito. After splitting from AAA along with the original group of mini estrellas he took on the role of Bracito De Plata and still uses it to this day. Does lots of tours with Mascarita Sagrada, Octagoncito and Piratita Morgan. This page was last edited on 10 July 2018, at 14:53.